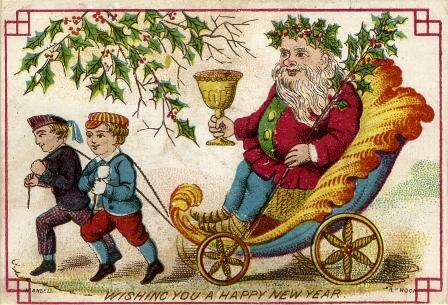 A chromolithograph Christmas card on embossed pierced card printed and published by Joseph Mansell, circa 1860. Size about 3 x 2.1/8 ins. Signed bottom corners, Mansell, London.